How many times have you seen a cruise advertised with free carparking only to find out that the 'offer' isn't applicable to what you want.Or have you seen a cruise suddenly advertised with free carparking only to find the price of the cruise has gone up by the exact amount the carparking would have cost you? Well, it doesn't always have to be that way. I joke you not, I've seen the above examples happen more times than I count. As well as that I've seen cruise lines with ridiculous T&C,s and hidden fine print regarding their free carparking as well as offers with the deal with the 'free' carparking being hundreds of pounds more than the offers without it. I was chatting to a rep from Voyages of Discovery the other day talking about different issues with cruises when the above subject came up. Here's what he had to say. 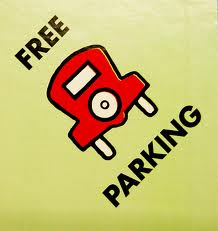 If you book a Voyages of Discovery cruise sailing out of the UK you will always get free carparking with your cruise. It doesn't matter if you book it 18 months before hand or the day before. It doesn't matter if you book an inside cabin or one of their top suites, you still always get free carparking with your cruise. I think that kind or reliability is nice from a cruise line and speaks volumes about them, what do you think?